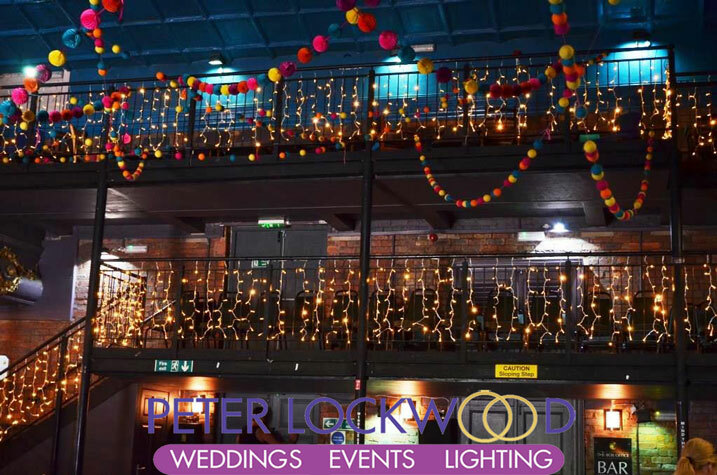 I have provided wedding fairy lights in the Picturedrome in Holmfirth a few times. 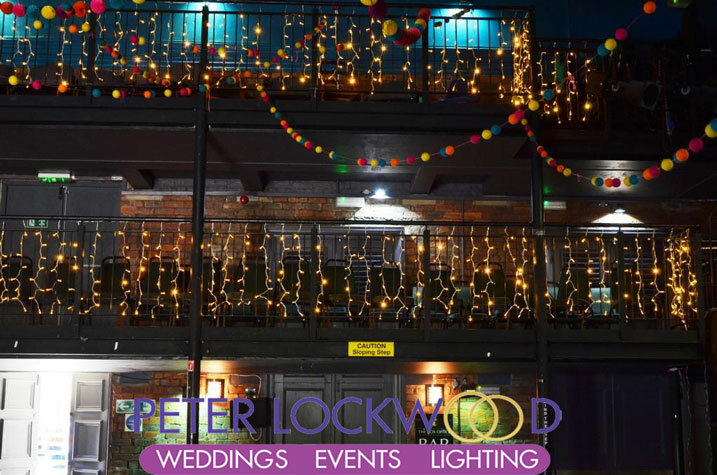 I use 1 meter drop 24v warm white fairy light curtains to go on the handrails around the Picturedrome. I think they look amazing running around the room. I can also fit a fairy light canopy that will make the Picturedrome look more like a wedding venue.